The watch is not yet over for fans eagerly awaiting the next book in George R.R. Martin's "A Song of Ice and Fire" saga. 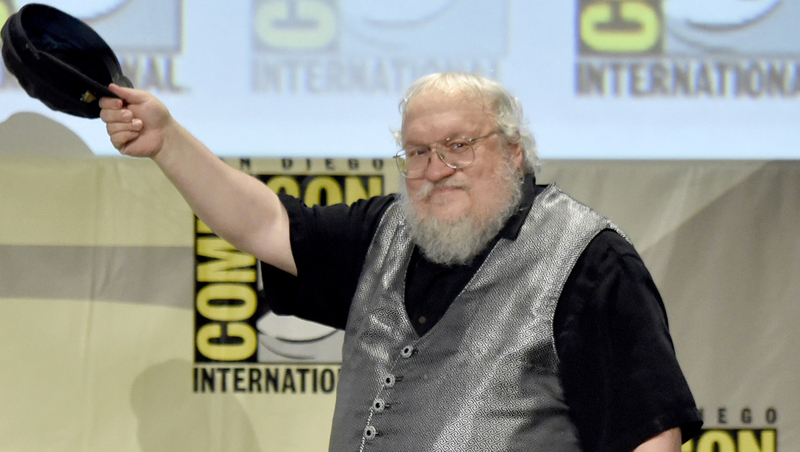 The author's publisher confirmed Friday that there are no plans for "The Winds of Winter," the sixth book in the series that inspired HBO's hit drama "Game of Thrones," to come out this year. "I have no information on likely delivery," said Jane Johnson of HarperCollins, according to The Guardian. "These are increasingly complex books and require immense amounts of concentration to write. Fans really ought to appreciate that the length of these monsters is equivalent to two or three novels by other writers." Martin's last "Song of Ice and Fire" novel, "A Dance with Dragons," was published in 2011. In December, he posted a message on his blog addressing speculation about the next book's release, writing, "I've said before, and I will say again, I don't play games with news about the books. I know how many people are waiting, how long they have been waiting, how anxious they are. I am still working on 'Winds.' When it's done, I will announce it here...I don't know how I can make it any clearer." In the meantime, readers can keep themselves busy with a new illustrated edition of three previously-released novellas set in the world of Westeros. Set for release in October, the compilation includes the prequel stories "The Hedge Knight," "The Sworn Sword" and "The Mystery Knight." "The short novels have been previously published in separate anthologies but never put together before, and this will be a particularly beautiful edition," said Johnson. And if that's not enough for your "Thrones" fix, you can catch its showings on IMAX screens and continue counting down until April 12, when season 5 of "Game of Thrones" premieres on HBO.